A few months ago, the second edition of Dropbox In 30 Minutes was published. 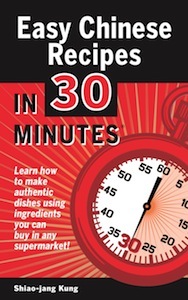 It’s one of our most popular guides in the In 30 Minutes series. In fact, some people mistakenly confuse it with Dropbox For Dummies. This post will get into the thinking behind the second edition of the guide, from content to production to marketing. 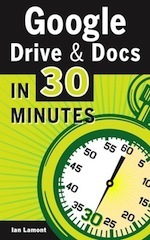 Dropbox In 30 Minutes was the first guide published in the In 30 Minutes series. Released in the summer of 2012, it quickly began to sell in channels such as Amazon and Apple’s iTunes store. The paperback edition, released in the fall of 2012, also was a hit. The first edition was downloaded or purchased as a paperback thousands of times over an 18 month period. It currently is listed as one of the top Software Utility guides on Amazon.com. Not long after making the title available, I recognized a problem: Certain information tended to quickly become outdated. While the core concept of Dropbox — software that helps you sync files between computers and mobile devices — has remained the same, specific aspects of the software have shifted. 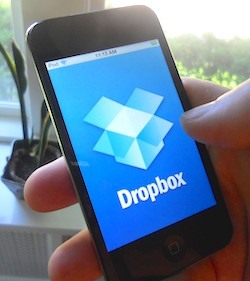 For instance, the Dropbox logo has had several noticeable tweaks in the past few years. Of a more practical concern for readers, the interface for mobile devices — iPhones, iPads, Android phones, etc. — has been completely overhauled. The desktop program for Windows PCs and Macs has also changed, albeit in a more restrained manner (for instance, right-clicking on a file brings up different options for sharing or manipulating the file in question). The “publish date” for the guide, which was listed on the product pages on Amazon, Barnes & Noble, Apple and Bowker’s ISBN database began to look old. For fiction books, “2012” is considered “new”, but in the world of how-to manuals for popular software programs, a two-year-old title starts to look a little long in the tooth. Older versions of the paperback guide were being resold on Amazon. I don’t blame readers for doing this, but the problem is a reader in early 2014 purchasing a used edition from July 2012 would be getting a fair amount of outdated information. This resulted in understandable frustration. Because of this, I decided to issue a Dropbox In 30 Minutes, Second Edition. I hired a review editor to go through the original guide and flag bits which needed to be rewritten and have new screenshots. I also redid the annotated screenshots of the Dropbox mobile application, and added new sections relating to Camera Uploads, security, Dropbox for Business, and more. I’ll continue to do small tweaks as conditions warrant, but I already have my eye on Dropbox In 30 Minutes, 3rd Edition! If you are interested in downloading or purchasing a copy of the guide, please see the options on this page. The author, Shiao-jang Kung, rose to the challenge of creating authentic recipes that contain ingredients you can get in any large supermarket. The recipes include Sesame Cucumbers/涼拌小黃瓜, Soy-Flavored Fried Tofu/香煎豆腐/香煎豆腐 (includes video), Fried Rice/炒飯 (healthy recipe – limited oil and no soy sauce! ), “Almost” Three Cups Chicken/“差不多”的三杯雞, and more. The inclusion of video and other app-like features is something that has been talked about for years in the industry, but it has been very hard to implement for the Kindle, Nook, and Android tablets. However, Apple has created production tools that let authors incorporate video, photo slideshows, and other elements (see iBooks Author Review: Video ebooks and intriguing possibilities on the iPad). I decided to apply these elements to our experimental Chinese cookbook. If it proves successful, I will look into creating a Kindle version … but the lack of production tools and uncertain support for features such as video will be hurdles. This gets into the “walled garden” problem that is cropping up for sophisticated ebook technologies. For a basic ebook that uses just text, photos, and links, Scrivener has served me well. I just create the ebook, and then export to epub (iPad and Android tablets), .mobi (Kindle), PDF, paperback, and other formats. Because Apple’s production tools do not support export to non-Apple formats or the ePub standard, that limits the distribution of the title. I am sure the smart people at Amazon are looking into enabling video support for .mobi ebooks, but if I have to use another product tool to create it, that will lead to all kinds of production headaches. I will basically have to build each title multiple times in different production tools, and make sure that edits in one manuscript are applied to the other. To learn more about the experimental Chinese cookbook and download a copy for your iPad, iPad Air, or iPad mini, check out the product website for Easy Chinese Recipes In 30 Minutes. 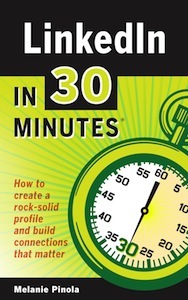 Last week, the latest In 30 Minutes® guide was released, a LinkedIn book. It’s really aimed at career-minded people who are just getting started with LinkedIn. However, I was reminded by the author — Melanie Pinola — that another target audience includes those people who have created rudimentary LinkedIn profiles, but have never optimized them for effective networking or job searches. One of the challenges that Melanie and I faced was limiting the scope of the guide. LinkedIn can be a complicated tool — beyond profiles, there are a lot of features and extra services that are available. In line with the “In 30 Minutes” concept and the fact that the book targets LinkedIn newbies who might not even know what LinkedIn is, we really scoped it down to the basics: How to register for LinkedIn; how to improve your LinkedIn profile with keywords, headlines and summaries; networking strategies; job searches and the “hidden job market,” etc. Before she got started, Melanie produced an outline and we discussed the contents and what not to include. For instance, I asked her not to spend too much time on integration with Twitter. 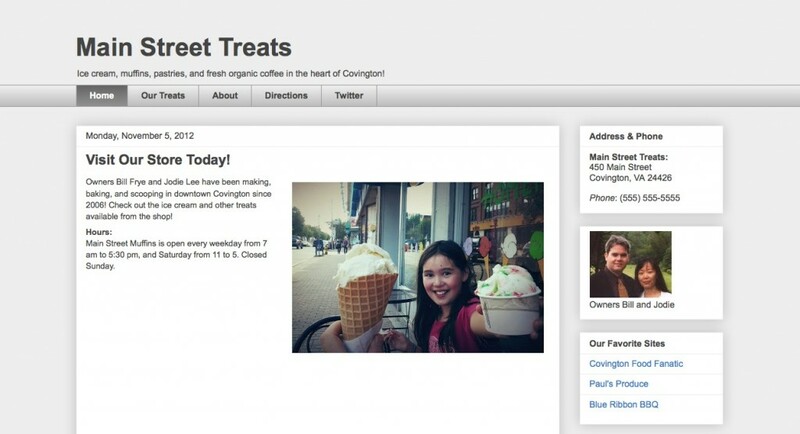 Setting up a LinkedIn company page is also out of the scope of the guide. I tell authors to aim for between 10,000 and 15,000 words, but in this case the first draft of the book came in at 18,000 words. While I like giving readers more than they bargained for, I also want to make sure the book can be read in a sufficiently brief period of time. What to cut? A few wordy examples were obvious candidates for removal, but there were some other more significant sections — such as one about researching companies on LinkedIn — that were harder to get rid of. In the end, we decided to re-use as much as possible — some of the examples will reappear as blog posts that Melanie authors, while the more substantive examples will be “extra content” for the book website. We’ve also begun to plan posts for other audiences, such as this one targeting LinkedIn recruiters. It’s good for our readers, and it is also good for attracting new readers to LinkedIn In 30 Minutes . One underutilized tactic for marketing how-to guides involves repurposing ebook content on blogs. This is not the same as giving away free chapters, which is common in the fiction world, or republishing excerpts of biographies, which sometimes appear in magazines or the Wall Street Journal. While both of those approaches are valuable marketing tools, they are mainly intended to introduce the title or author to a wider audience. By contrast, the main purpose of repurposing ebook content on blogs is to help people solve specific problems — which may help them see value in the rest of the how-to guide. Let me give you an example. My second In 30 Minutes title about Google Drive is about 15,000 words long. It’s aimed at beginners just getting started with Google’s free online office suite. It contains everything from basic setup to sections on using Google Docs, Google Sheets, Google Slides, storage, collaboration, and other functions and features within the suite. I realized that some of the ebook subsections could stand on their own as blog posts. For instance, “What Is Google Drive” became its own page on the official product website. It’s a common question among new users searching the Web for information, and may lead to some of them considering the ebook or paperback versions of the guide. 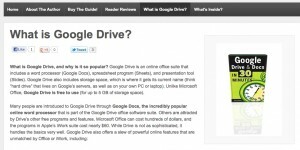 Similarly, I took a few other 200-400 word bits (example: “How to revert to an old version of a Google Drive file”) and used them for a book promotion taking place on ITworld.com. This type of ebook content repurposed as blogs posts should not be viewed as “giving away the farm”. It’s only a small percentage of the total ebook content. Further, as I noted earlier, it can help new users solve a problem while seeing value in buying the rest of the ebook. (This tactic, incidentally, aligns well with the online content marketing advice given by author Derek Slater in his recent In 30 Minutes guide). It was fascinating watching the evolution of the readership, especially after the paperback edition of Dropbox In 30 Minutes was released last November. While the Kindle edition has been a strong seller from the start, sales have plateaued. Meanwhile, the paperback rapidly gained fans and by February 2013 had overtaken the Kindle and all other versions. Note, however, that Amazon is also responsible for all paperback sales — it owns the POD service CreateSpace, so the paperback listing is automatically fed into an Amazon product page (which is now linked with the Kindle product page). Getting back to the Kindle version hitting a sales plateau: I’ve been thinking a lot about what could be happening. Certainly, there is more competition for readers, both on Amazon itself and online. But there are other possibilities, including falling interest in Dropbox among my target audience. What could cause a once red-hot technology to slow down in popularity? Factors could include competition from giants in the space (for instance, Microsoft Skydrive OneDrive or Google Drive), negative publicity (such as security concerns), or a maxing out of the potential audience. For now, I am discounting the idea that Dropbox is dropping in popularity, and am more focused on the competition — and how to make Dropbox In 30 Minutes and the free online resources such as videos and blog posts even better. 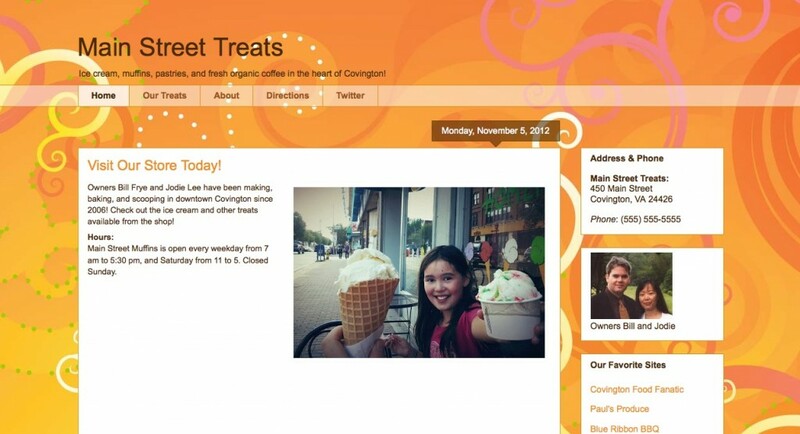 Blogger default templates: Which one is the best? Last week, I published my latest book, a a Google Blogger for Dummies alternative. 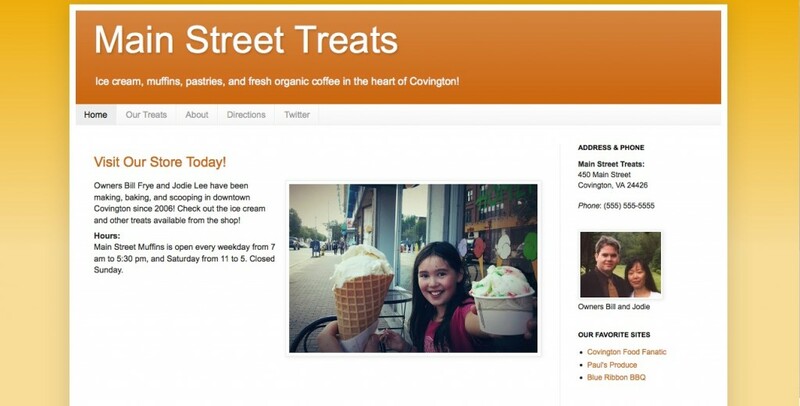 I wanted to show small business owners how to cheaply and quickly build an informational website for their businesses using Google’s Blogger service. 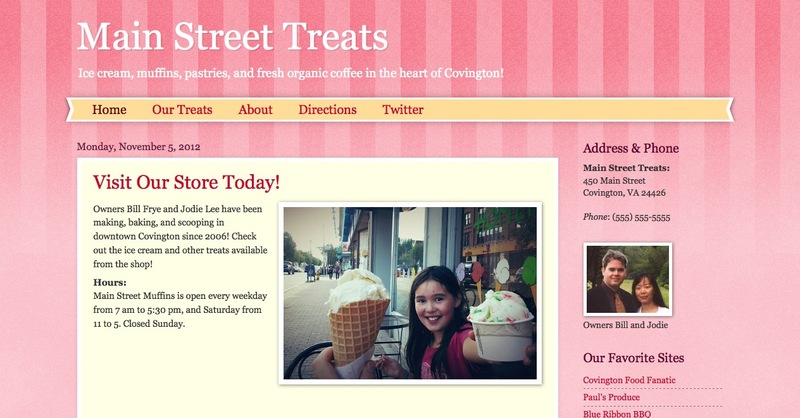 In the course of researching the book, I did a lot of experimentation with Blogger’s default templates. Which ones are the best? Lastly, the Ethereal template is too gentle for most small businesses. I believe that most businesses need to make a strong impression, and Ethereal is just too emo. My book explains how to choose different templates and customize them for static websites (that is, an informational website that seldom changes) or a small business blog. For people who are just starting a business, or don’t want to spend the time or money on an expensive website, this book will teach you what you need to know to get a small business website with its own .com domain for just $10 per year. You can see what’s inside the book here. A different price point: 2x the Dropbox manual. I learned a very valuable lesson from #2, based on lackluster sales and a very negative piece of feedback I received on Amazon. The price was way too much. This was reflected in practically no sales on Amazon or as a PDF download, and one of the buyers writing a comment that said a book like this should be priced less than $10. I pulled the title from Amazon but will keep it up as a PDF. In the meantime, I have prepared a scaled-down version of the Google Drive guide. 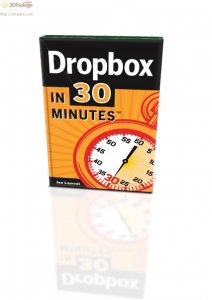 It’s being branded “In 30 Minutes” and is using the same lower price point as the Dropbox guide. You can learn more about the title and buy it from the website linked in the sidebar of this blog post. Earlier this week, my second ebook was published in the Kindle Store and as a paid PDF download (see inset cover). The book explains how to use Google Drive, a very powerful online software suite that includes word processing, spreadsheets, a presentation tool, and online storage. It’s kind of like Google Docs for Dummies … but not quite! The new title is about 1/3 longer, and more comprehensive. I want to test the response rate to higher-priced ebooks. As you can see, I am in experimental mode when it comes to design, pricing, length, and other aspects. The prices and affiliate program percentages will likely change as I figure out what works, and what doesn’t. In the meantime, stay tuned for book #3! I have also started to consider other topics, ranging from Excel to LinkedIn and even other technical topics. I won’t be the only author, though … the best way to achieve scale is to find other talented authors who know these technologies and have existing audiences through blogs or other writing arrangements.